Are you confused about the National Disability Insurance Scheme (NDIS)? What type of support can you receive under the NDIS? Will the NDIS cost me money? Why choose Tamborine Health Services? The NDIS is a new way of providing individualised support for people with disability, their families and carers. It provides eligible people under 65 years old a flexible, whole-of-life approach to the support needed to pursue their goals and aspirations and participate in daily life. There is definitely a lot to learn about the NDIS and what it can mean by way of improvements in your life. Tamborine Health Services have helped many people navigate this often confusing process and it can be intense. We have provided lots of information on our webpage to assist you with this process, but if you still have questions or need some support do not hesitate to contact us for a friendly chat. If you dont know if you are eligible TRY THE ONLINE ELIGIBILITY CHECK. From 1 July 2018, the NDIS Quality and Safeguards Commision (NDIS Commission) began to assume oversight of quality and safequards. The NDIS Commission will begin to regulate and register providers. Once this initial checker determines you are eligible you will need to contact the NDIA and ask for an access request form, which will be mailed to you for completion. You can do this by calling 1800 800 110 or emailing: [email protected] . 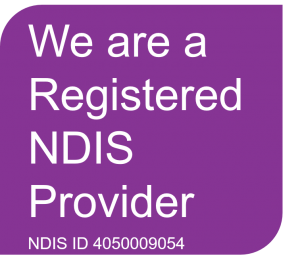 Here are some of our helpful hints to getting going with the NDIS paperwork…..First step is to phone the NDIA on 1800 800 110 and get an Access Form, this needs to be completed and returned within 28 days. While you are waiting for the application form to arrive, collect together any specialist reports you may have that clearly state your diagnosis, especially if they describe how this diagnosis impacts on your everyday life. As an organisation we always focus on peoples strengths and build on their deficits, unfortunately for the NDIS application you will need to focus on your disability, as it is important to be realistic and open about how this impacts on your life. We can go back to a more positive way of viewing life after this process is completed. Once you have information together, make a 30 min appointment with your General Practitioner or Specialist, this will give them time to complete the form. We usually suggest putting postit notes on each of the areas describing how your disability impacts on your life and if you can, take along someone who knows you well for support. Remember you may be physically able to do some of these things, however your lack of energy or motivation may be a barrier to you achieving it. This is legitimate disability and is a symptom of some disorders. When you are approved for the NDIS you will have a planning meeting, this may be done over the phone or in person face-to-face, this is YOUR choice. Again you will need to be realistic and open about how your disability really impacts on your life. This will ensure that you get reasonable and necessary support to help you manage your disability. If you can, get someone to sit in/listen with you to support you, as the person doing the plan meeting may not fully understand your disability and having someone with you who does, is really helpful and can save time and disappointment later, when the returned plan doesnt seem to match your needs. During your planning meeting you will be given the choice if you want to Self Manage, (you do all the bill paying yourself), be Plan Managed (you still need to monitor and approve payments) or NDIA Managed (National Disability Insurance Agency) (you can only use NDIA registered service providers and NDIA manage the payments). Your Plan will be reviewed every year unless your circumstances change or you request an early review, you can make changes to how you manage your plan then. There are plenty of service providers to choose from, we at Tamborine Health Services are approved by the NDIA, we have met their requirements regarding qualifications, approvals, experience and capacity for the approved supports and we uphold the Queensland Human Services Quality Framework. Your plan will nominate the areas and types of services and supports you are eligible to access. When you get your plan you can call and our friendly staff would be happy to provide a no obligation information session for you to assist in knowing what you may be able to access and what is available in your area. NDIS is not means tested and does not affect Disability Support Pension payments. The support is related to a person’s disability and the supports they require to lead a more active and fullfilling life. The NDIS works side-by-side with the health, mental health, education and other universal services to support health and wellbeing of the participant. There are plenty of service providers to choose from, we at Tamborine Health Services are approved by the NDIA, we have met their requirements regarding qualifications, approvals, experience and capacity for the approved supports and we uphold the Queensland Human Services Quality Framework. Quality and safeguards ensure people with disability have access to high qualtiy supports and services. Safeguarding people with disability from abuse, harm and neglect is every disability service provider’s responsibility and at THS this is an important part of our everyday practice. Safeguards include natural safeguards like personal relationships and community connections, and formal safeguards like service standards, regulation and quality assurance systems for our service, service users and the people we employ. At Tamborine Health Services we are open and transparent and happy to discuss any aspect with you and your nominated person. All the staff at THS are part of this amazing community and passionate about providing the best service possible to our neighbours and greater community. We understand the everyday aspects of life can be challenging when you are living with a disability, and providing a service where you live means that we can offer timely, flexible supports to meet your needs, at your preferred time and location. We are already well established and committed to our communities and renowed for providing a high quality, individualised, person centred service. So why not give our dedicated NDIS team a call now and see how we can work together 1300 663 119. At Tamborine Health Services we promise to treat you with courtesy and respect, to listen to your needs, communicate openly and honestly, allow you choice and control and to work with you to achieve your goals.